HM, the danish manufacturer of labelling systems has unveiled a perfect solution for print on demand labelling where the last printed label gets directly onto the product. 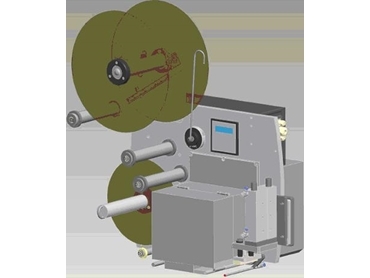 The Print and Apply system from HM Labelling A/S is rugged build and fulfills in all needs to an industrial application concerning reliability, handling and performance. The modular applicator system makes top, bottom, left, right or over edge labelling possible with the same base module. The selection of modular applicators is continuously expanded. The modular concept involves also the printer solutions like Datamax A-Class 203, 300, 400 or 600 dpi with ribbon saver as an integrated unit. Tamp, Blow and Front applicators, depending on labelling requirements. The new print and apply label applicator is available from Easyprint.